Did you hear them? The sirens were blasting this week with yet another study that confirms what we already know: for many of us, our diet could be a significant factor in our future cognitive decline. The latest research? In a longitudinal study published in Diabetologia, scientists followed over 5000 patients for 10 years and determined that people with high blood sugar (and not even so high that they would be characterized as diabetic) had a faster rate of cognitive decline than people with normal blood sugar. It’s an alarming finding, yet a result that we can have some control over by watching what we eat. 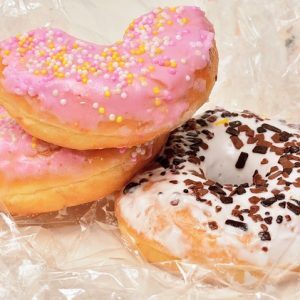 For more on the study, and reasons why you need to put down that donut, take a look Here. And do you already have concerns about your cognition? Then you need to be aware of a new online resource from the Alzheimer’s Prevention Trials Webstudy. This new website allows you to assess and track your cognitive performance and then become part of a database of potential enrollees for Alzheimer’s clinical trials. It’s a multi-site effort hosted by some of the biggest names in medicine, including the National Institute on Aging, the Cleveland Clinic and Brigham and Women’s Hospital in Boston. Learn more about your opportunity to enroll Here.